I order a lot of stuff from Amazon. Most of the time it goes pretty well, but sometimes it does not. But I try to pay attention and only order certain things (like clothes) that have free returns. Well, sometimes when they ship the wrong thing is really doesn’t matter if the return was stated as free because when they send you the wrong thing it is up to them/the seller to fix it. A couple of months ago I ordered a stone and they shipped the wrong one. At first when I opened the package I was very disappointed because it was not the color that I was hoping for. When you order things like natural stones they warn you that the color will not be what you see in the picture, but what I received was way off. It took me a moment to realize that this was not the stone I ordered. I didn’t order another one right away. But I finally did and now I have some fluorite. I am used to the multi-colored polished stones. With light hues of pink-purple, green-blue, pinks, purples, greens, and blues in it. I have seen some dark ones, but I have not gotten one. The ones I got were light. Wiki also states that fluorite is a source of a common chemical used to make a number of things, that is has ornamental uses, and even optical uses. If you believe in the healing properties of crystals and stones then fluorite can help clear your mind. It can help get rid of negativity. It helps clear the way to joy. It helps bring order to chaos. It helps you focus. It can be used when you need to concentrate or get rid of a mental block. For some, this clearing of the mind can help with relaxation. Help with relaxation might translate into help in sleeping. 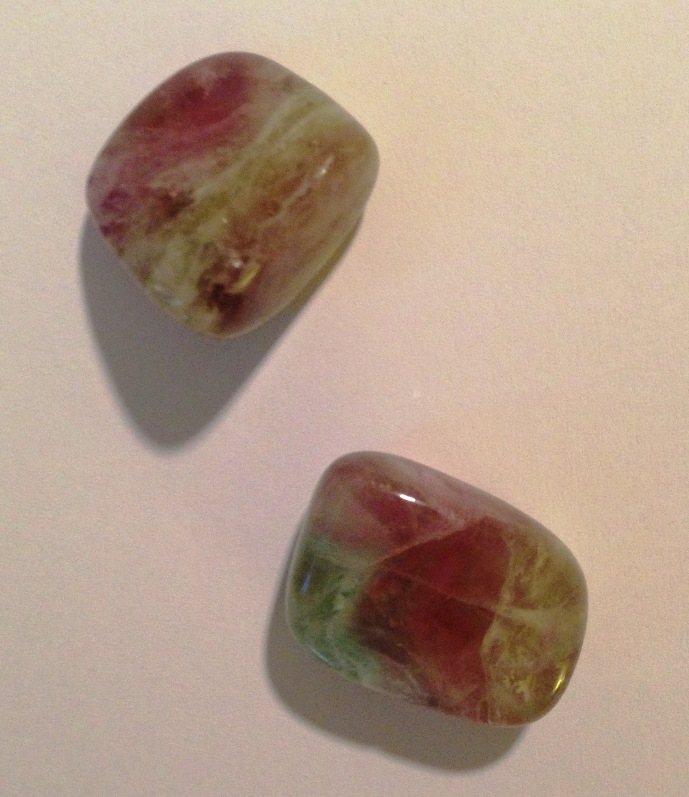 Fluorite is often used to promote the positive energy while removing the negative energies. It is thought to help relieve the electromagnetic stress we are under every day with the use of everything electronic. Do you have a stone/crystal collection? Do you have fluorite in you stone/crystal collection?